Today’s hospitals are coming under greater and greater pressure to drive down costs, increase patient satisfaction and improve their operational efficiency. These challenges amongst others have led to the emergence of lean healthcare. Lean healthcare is a strategy where the main focus is to eliminate waste in order to create value for everyone involved. 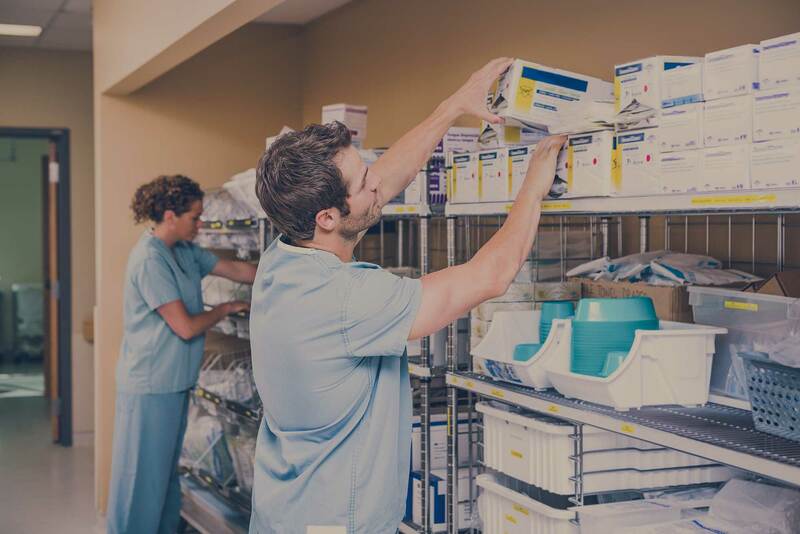 While there are many different departments and areas of focus inside of your hospital, none of them represent a bigger piece of your operating costs than equipment replenishment or supply chain. When transitioning to a lean strategy it’s suggested to concentrate your efforts in a single area instead of trying to overhaul everything all at once. With the supply chain making up between 40 and 45 percent of your operating costs, it makes it the ideal to start eliminating wasteful processes. There are 7 different types of waste, however, when it comes to equipment replenishment there are 4 types of waste that you should be focusing on. There’s almost nothing more frustrating than knowing you’re doing more work than is needed. This is the basis of the type of waste known as over processing. Performing unnecessary steps costs both money and time, not only for your staff but for your materials and the wear on your equipment. This type of waste also causes inefficiencies by taking the time away from other more important tasks like attending to your patients. Over producing waste is when you have too much of one product or have it the wrong number of what’s actually needed. For example, in terms of equipment replenishment this could be ordering too many IV pumps because your staff thought you were out when in reality they were just dirty or misplaced. Usually PAR tracked equipment gets replenished at the wrong times in the wrong quantities in the wrong locations which as in the example above leads to costly decisions based on bad information. This one is also pretty self-explanatory, patients waiting for care, doctors and nurses waiting for equipment or information. Often times hospital staff members are waiting on equipment or medications to become available. While this inconvenience might hurt patient satisfaction scores and money (loss of time) but it can also be dangerous for your patients as some medications for example are time-sensitive. One of the biggest forms of waste in the hospital environment today, excess motion occurs when both patients and staff members perform any motion that doesn’t add value to a particular process. For example, nurses or doctors trying to track down missing or misplaced equipment, or checking PAR levels manually only to walk into a soiled utility room to find that everything is clean. Lean healthcare is quickly becoming an effective strategy to successfully resolve the growing list of challenges inside today’s healthcare institutions. However, lean healthcare is simply the strategy, and technology is what enables this new strategy to be possible. If you would like to know more about going lean and how technology is driving down costs in healthcare download our FREE EBook below. Or if you would like to speak to a lean healthcare solutions specialist right now, simply contact us here, we’d love to help.